There's a planner for every personality... we reviewed the best ones. About every three months, I find myself wondering if there's a better planner out there. I have a major case of "Planner FOMO" and have watched and read more planner unboxing videos and reviews than I care to admit. Even before I embarked on this review, I had a pretty large stack of planners that I cycled through and sometimes even used simultaneously. I have a problem. But my years of planner research mean you won't have to spend this much time finding the right one! My obsession is justified, hurrah! Planners are so personal, and what works great for one person is often terrible for another. But I can say with confidence that there is a planner in this list that will work for you. So read on if you're ready to get organized in 2019. 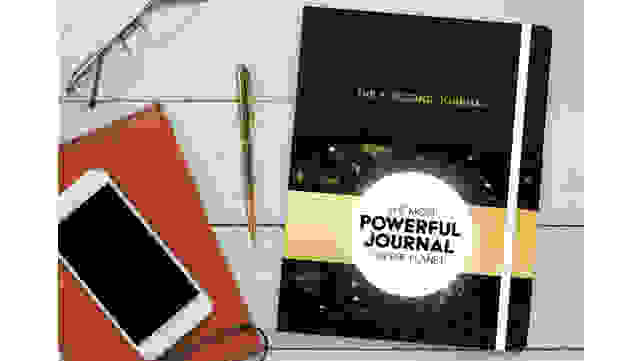 This journal is perfect for dreamers and anyone with goals. The Passion Planner was my first love in the world of paper planners. It helped me to set goals, dream big, dream bigger, and then make a realistic plan to make those dreams reality. The Passion Roadmap (the Passion Planner’s goal-setting system) is set up when you begin your planning journey, and then revisited consistently to ensure you’re pursuing the things that really matter, and that you’re celebrating the little victories along the way. You may also enjoy the Passion Planner's weekly layout with plenty of time slots each day, room for work and personal to-dos, and blank space. The aesthetic is decidedly minimal, being all black and white with zero images. Highlighters and different colored inks really pop in this planner, which I really like. Planners with busy graphics and color schemes can make important items you highlight blend in too much. The Passion Planner helps you keep the big stuff from being overlooked. This planner is designed to encourage you to get creative and learn more about yourself. I’ve used several iterations of the Panda Planner, but there’s something special about the Panda Planner VIA. Like all Panda Planners, the VIA is undated so you don’t need to wait for the new year—you can start it anytime. It also integrates your results from the VIA Character Strengths Survey to help you maximize your natural strengths and tap into character traits you didn’t even realize you had. Monthly layouts encourage you to note goals, acts of kindness, times your “signature strengths” really shone, and strengths that surprised you. The weekly spread guides you to reflect on ways you used your strengths, how you might improve, the strength you’ll focus on in the coming week, projects, and more. And the daily pages have plenty of room for daily schedule and tasks, as well as morning and evening reflections and the day’s priorities. The planner is hardback but still does a surprisingly good job at laying flat. The monthly, weekly, and daily pages are all in their own sections, and there are multi-colored ribbons to keep your place in each. The Bulletproof Business Planner is perfect for freelancers and small business owners juggling multiple clients. Before I started writing full-time for Reviewed, I constantly struggled to find a planner that could accommodate the chaos that was my freelance writing career. I had multiple clients at one time, and multiple assignments for each of those clients. I had follow-ups and pitches and income goals and invoicing dates to keep track of. It was impossible to find a planner that could help me wrangle all that information in one spot. 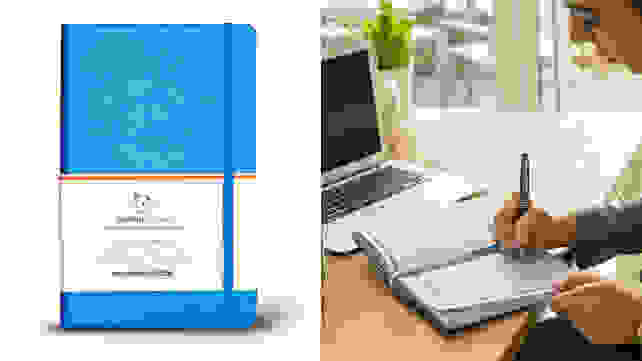 Impossible, that is, until I found the Bulletproof Business Planner. It has space for monthly income goals, social media and blog scheduling, a free-form grid for project management, space for weekly focus and habit tracking, and even an area where you can list bills that due and follow-ups needed. All of this is bound in a lovely leather-like planner that has front pockets and space for business cards along with a built-in pen loop. Full-page project planning spreads are in the back of the book, and it has ribbons of three different colors to help you keep your page. In all my searching, I have never found a planner that most perfectly fit my needs as a freelancer, but the Bulletproof Business Planner really could work for just about anybody who has a career to manage. Make this planner extra special by customizing your journal with a cute quote or even just your initials. 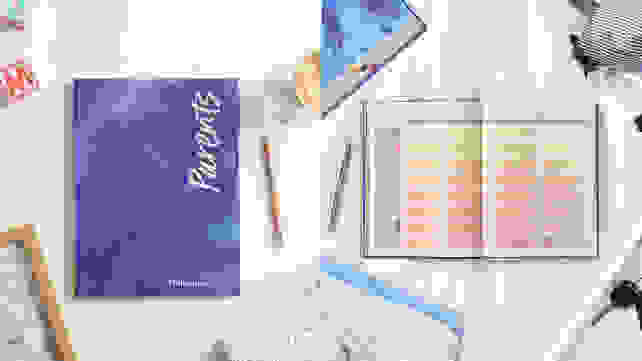 Buying an Erin Condren planner is like entering a colorful, magical, sparkly world where there are pens, bookmarks, stickers, pockets, and accessories for every planning whim you could possibly have. 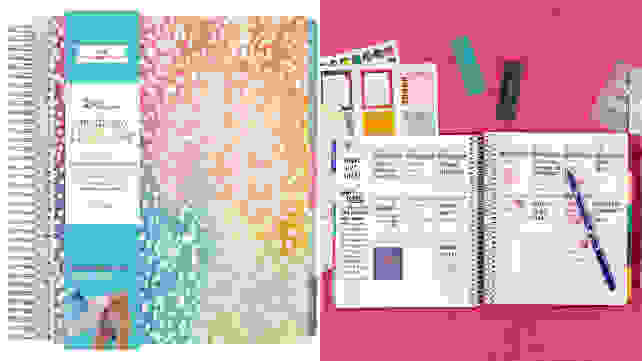 The Erin Condren website offers more customizable planners and accessories—like adding your name or initials and choosing your favorite colors, coils, and layouts—than you can shake a stick at. I don’t think I’m exaggerating when I say that, if you go to the Erin Condren website, you will find something you love. The product line is monstrous. The planners aren’t the lowest-priced you’ll find, and the add-ons can really add up, but you won’t run across another planner so well made with so many customization options and with such a wide range of accessories. We love that you can add or take away as much as you want. The Happy Planner is perfect for people who can’t make up their minds, since pages can be added or removed with ease thanks to its disc binding system. I am one such person, and my Happy Planner’s cover and discs have housed many printable planners over the years. 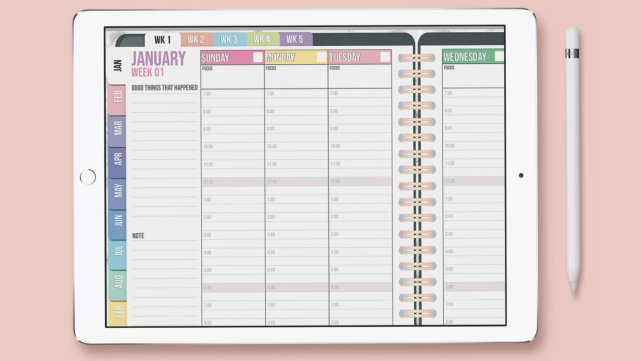 If you get the Big Happy Planner, it’s big enough to hold regular printer paper, which means simply buying a Happy Planner punch will enable you to print any templates you want and pop them into your planner. I’ve been known to also punch bills, cute letters from my kids, and other keepsakes for storage in the back of my planner. Those who intend to do a lot of page-swapping in their Happy Planner might want to invest in the heavier-duty Levenger Circa Leverage paper punch, which is a bit pricey but can punch through just about any kind of paper like butter. This journal has loads of quick fun prompts to keep you inspired. Sometimes I walk into my office in the morning and don’t know where to begin. I have a planner full of projects, but which do I focus on? I love the 5 Second Journal for mornings like that. It allows you to note your current emotional state, what you can do to feel more energized, and your top project for the day. Yep, it makes you choose one project and note why it’s important to you. For me, the most useful section in the daily spread is a little spot where you’re prompted to write down one small action you can take to move toward your goal. Especially when I have a large project on my plate, taking one small step is usually enough to launch me into a really productive day. The second page of the spread has a brain dump, daily schedule, and a new challenge every day to do something specific to boost your productivity (e.g. stretch, take a walk, declutter your work area, make coffee, etc.). This won’t be your everything-planner, as it doesn’t have monthly or weekly layouts, but it can be incredibly useful on mornings when you feel a bit scattered and unfocused. 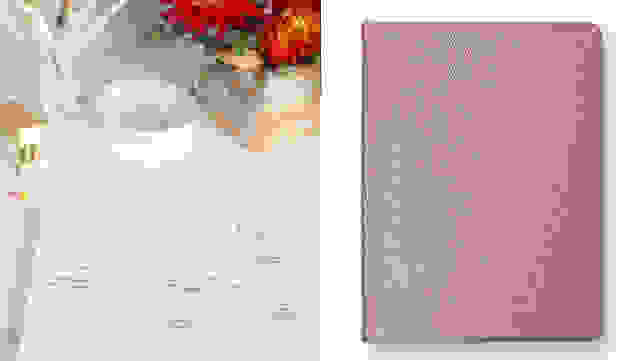 This self-help planner is like two books in one! Dailygreatness journals are part self-help book, part journal. There are several different Daily Greatness journals across topics like wellness, business, success, and yoga. I spent some time with the Parents, and these planners are quite different from the others in the lineup. The first 15 pages of the Parents journal are loaded with motivational reading on topics like playful parenting, mindfulness, gratitude, self-care, and patience. That section is followed by several pages of guided journal space where you can document memories, wishes, and wisdom. After that, believe it or not, is even more space for reflection in the form of a self-care goal planner (because self-care doesn’t just happen, does it?). Once you finally make it to the daily spreads, you’ll find space to jot down ways you plan to parent with play/awareness/self-care(it cycles through themes), your priorities for your family, your daily schedule, and reflections on your child/children and the day’s events. This planner is loaded with weekly check-ins and weekly family planners, quarterly reviews and plans, space for mindfulness, and a yearly review. It might be a bit intimidating for parents who don’t have much time to spend with their planner, but those who can make time for these readings and reflections will find themselves living and parenting with more intention. Planners for moms are just the tip of the iceberg when it comes to these journals. I am a mom of three, and I know how difficult it can be to stay on top of dance lessons, gymnastics class, baseball practice, dental appointments, shopping lists, birthday parties… it’s a lot. Getting everyone where they need to be when they need to be there is more than I can manage some weeks. If you’re a parent juggling multiple schedules, the MomAgenda is right up your alley. Despite the name, MomAgenda’s site has planners for everyone in addition to their line geared specifically toward moms. The top portion of each weekly spread is dedicated to wrangling your own schedule, and four rows below can be used to organize the schedules of other members of the family. There’s even a row at the bottom for planning dinner… because it turns out these people need to be fed occasionally. 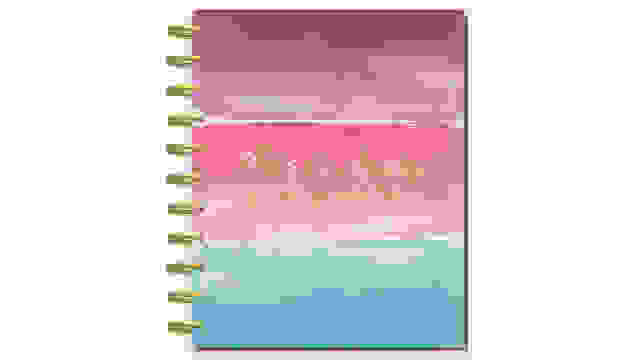 MomAgenda also has pages for family members’ information, phone numbers, websites and passwords (be careful what information you write down, though! ), your family’s medical info, birthdays, and anniversaries. It’s really designed to be your one-stop planner for all your family’s pertinent information, so make sure you don’t leave it on the bus! Skip the paper, and keep everything digitally organized. If you’re tired of nagging your significant other about appointments and tasks, Cozi has your back. I like the feeling of pen and paper when I plan, but for several years my husband and I used Cozi to keep track of appointments and shopping lists. It’s a running joke in our house that, when there’s an upcoming event of mine, I tell him when I schedule it, I tell him when it’s a week away, I remind him when it’s a couple days away, and I remind again the night before. And then when I am getting ready to leave, he asks me where I’m going. Facepalm. When I schedule an appointment in Cozi, I can set event reminders at customizable times for just one of our phones or both. I always set Cozi to remind him an hour or two before, and it completely eliminates the “Dude, I told you about this four times!” conversation. Get a journal that's completely custom to what you'll actually use. If you have very specific planning needs and other planners on the market never quite work for you, head over to Agendio—therein lies your salvation. Agendio allows you to build your planner from the ground up. You pick the layout. You pick the section headers and how far apart the lines are. You pick the font and colors. You pick the goal-setting and journaling sections. 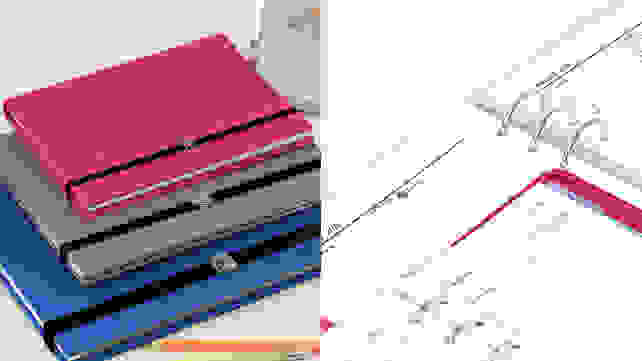 You pick the binding type, cover, and add-on sections. It's completely custom! 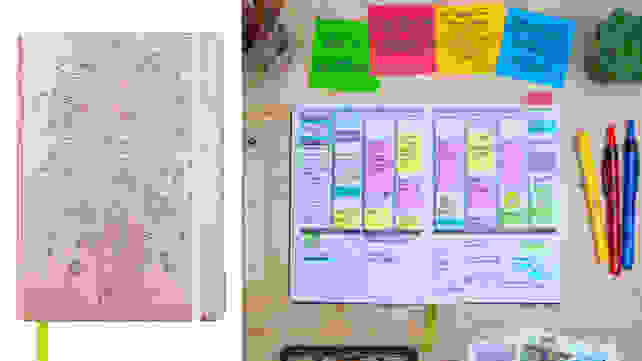 Building your perfect Agendio planner will take time, and after I’d waded through all the options and added my perfect planner to the cart, my 6-month, tabbed, coil-bound planner was going to run me $49 before shipping. Agendio clearly isn’t the cheapest way to go, but if you want to build a planner that meets your needs perfectly, this is it. And, bonus, you can duplicate your design any time you’re ready for a new one. This planner lives on your devices, but it's got fun options like sticker packs to make it feel like the real deal. Okay, I haven’t personally gotten to try this one, but it’s so cool looking it makes me want to run out and get an Apple Pencil just to use it with this digital planner in my iPad. The BabaNana Goodnotes Planner marries the best of digital planning with the best of paper planners. It’s laid out like a paper planner and, with Apple Pencil, you can write and doodle to your heart’s content. 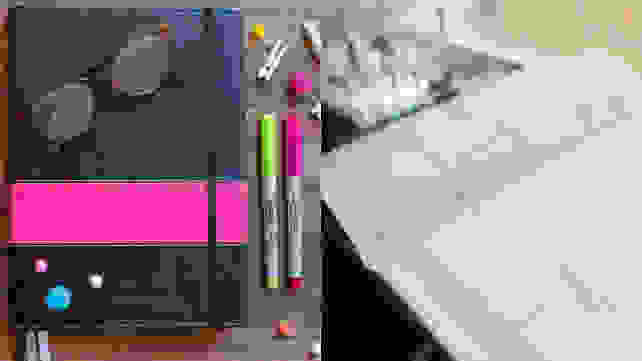 Add and move stickers, move handwritten notes, and use any color or pen you like without ever having ink bleed through or scratching out something you wrote in the wrong place. Super fun! Adds Apple Pencil to cart. The demo videos on BabaNana’s site are laced with dishearteningly poor English, so I wouldn’t be surprised if the planner’s menus are a little wonky… but it might be worth the risk if you want all the fun of journaling without all the paper and art supplies.